New Rochelle, NY, April 9, 2018–The U.S. Food and Drug Administration's (FDA) 2017 draft guidance that proposed drug-like regulatory scrutiny of food animals produced using gene editing technology such as CRISPR has global implications for the future cost and feasibility of food animal production. This regulatory proposal fails to recognize that the same genetic changes could be achieved using conventional breeding techniques instead of newer molecular methods, and does not consider whether or not the changes are novel or present any hazards, as is clearly explained in a timely and insightful commentary published in The CRISPR Journal, a new peer-reviewed journal from Mary Ann Liebert, Inc., publishers. The article is available free on The CRISPR Journal website until April 23, 2018. 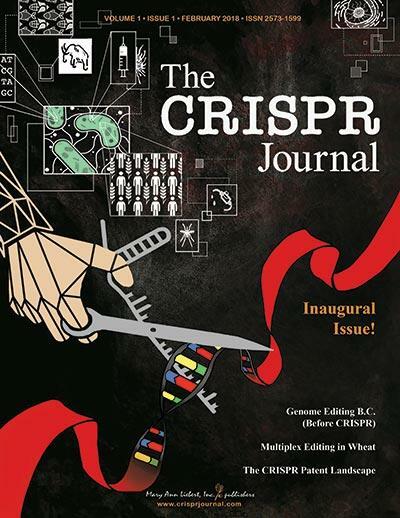 The CRISPR Journal, published bimonthly in print and online, is a groundbreaking new peer-reviewed journal from Mary Ann Liebert Inc., publishers dedicated to outstanding research and commentary on all aspects of CRISPR and gene editing research. Led by Editor-in-Chief Rodolphe Barrangou, PhD, North Carolina State University, the Journal covers CRISPR biology, technology and genome editing, and commentary and debate of key policy, regulatory, and ethical issues affecting the field. For complete information, please visit the Journal website.